• Always put your best interests first. • Provide full and fair disclosure of all important facts. • Ensure all investment advice and analysis is accurate and complete. • Avoid conflicts of interest and fairly manage, in the clients’ favor, any unavoidable conflicts of interest. You may have heard media reports about a new fiduciary rule for retirement accounts that President Trump has rescinded. Understandably, you have questions about how this might impact to your accounts. The rule was designed to ensure recommendations made by financial advisors to their clients regarding their retirement accounts are always made in the best interests of the client without any conflicts of interest. The good news is that doesn’t affect your accounts at all. As a Registered Investment Advisor, we are already under the highest fiduciary standard – so enacting the rule or rescinding it doesn’t change our status. We have had this higher standard in place all along and will continue to do so. It’s always been part of our DNA. A “fiduciary” who manages an investor’s assets has a legal and ethical obligation to put the investor’s interests first. That means helping the investor make decisions in his or her best interests. This fiduciary standard has always been at the core of our firm’s mission to our clients. • We always put your needs first. We are committed to the highest professional and personal standards, and this commitment remains as strong as ever. Our sole focus is on your financial needs and goals and how we can best help you pursue them. of our firm. We strive to avoid any conflicts of interest, and if they arise and are unavoidable, we disclose these to you immediately. We provide a high level of transparency around any fees or expenses associated with your accounts, so that you always know what you own and what you’re paying for it, so there are never any surprises. • We are an independent and objective resource. As an independent firm, we provide you with objective, unbiased advice based solely on your needs and goals. We provide guidance that is truly objective, unencumbered by any potential conflicts of interest. We have no vested interest in promoting a particular product or service. Our only interest is that your financial objectives are met. In financial services, there have traditionally been two types of standards: the suitability standard and the fiduciary standard. The suitability standard is defined as determining whether an investment product or strategy is “suitable” for the investor based on his or her financial objectives and risk comfort level. Many advisors operate under the suitability standard where the advisor simply determines whether a recommended product or strategy is suitable for the client. 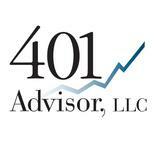 The fiduciary standard is a higher level of responsibility for the advisor. The fiduciary standard goes beyond suitability and requires that any advice on products and strategies be provided in the best interests of the investor. The fiduciary standard of care requires that the advisor take into consideration whether the fees are reasonable, whether there are any conflicts of interest, and whether the investments are adequately diversified. As your advisor, we adhere to the fiduciary standard, and we believe this model of disclosure and transparency is in your best interests. In our view, you deserve to have your needs put first and the strategies and investment products we recommend should align according to those needs. Our fiduciary standard mandates that every single recommendation we make must be based on your best interests, and there is no circumstance when we can place our interests above yours. By adhering to the fiduciary standard, we believe we can provide you with the highest standard of care for all your investment and retirement needs. When it comes to managing your money, your financial relationships should be built on a foundation of trust, integrity and transparency. Not all firms and advisors adhere to the same legal and regulatory standards.